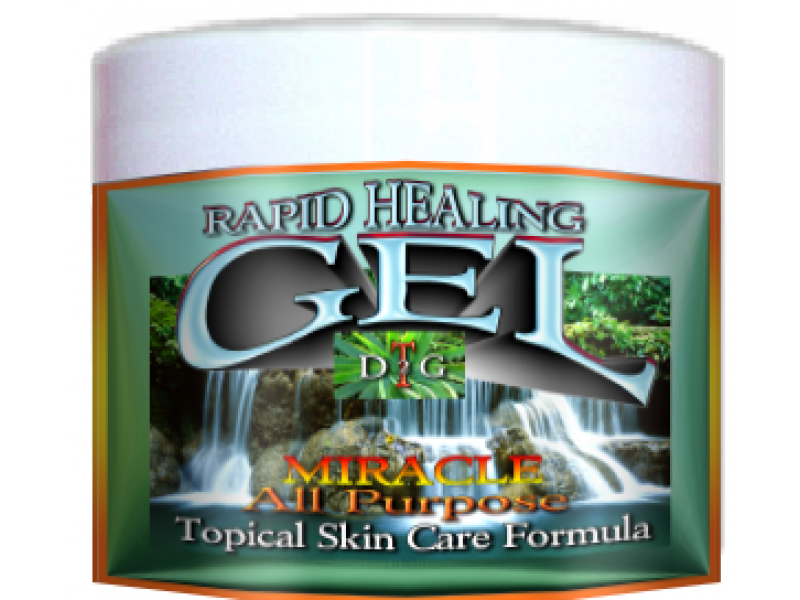 Rapid Healing Gel contains a vital ingredient that is responsible for its amazing results. 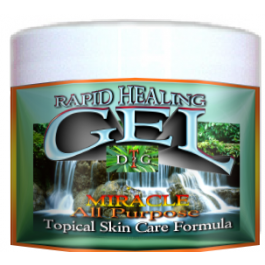 Rapid Healing Gel is a remarkable product that you will use for all your topical skin conditions including certain viral outbreaks such as Canker Sores. You will be amazed at how quickly this amazing gel will heal any bruise, bite, burn, skin abrasion, rash and skin conditions. Sounds too good to be true but it is. You will find even more uses for this green gel the more you use it. In addition to Aloe Vera Gel, Whole Leaf Aloe Vera and Liquid Vitamin C, the primary active ingredient in Rapid Healing Gel, is a structure of natural organic origin. When the infected cells receive this product instead of glucose, they will simply die off along with the viruses and the parasites that feed off of them. In addition to Aloe Vera Gel, Whole Leaf Aloe Vera and Liquid Vitamin C, the primary active ingredient in ViraGel: HC is P-2DG, (2DG-PH 2-Deoxy-D-Glucose), a structure analogous to glucose of natural organic origin is in a more powerful solution to combat more serious viral and bacterial conditions. When the infected cells receive P-2DG instead of glucose, they will simply die off along with the viruses and the parasites that feed off of them. The virus is starved to elimination. When applied directly to the area and the active ingredient, P-2DG is fed to the infected cells, rapid changes begin to take place in the cells, producing results in just hours from application. It stops viral, bacterial and fungal cell functioning through deprivation of its food supply. A new generation of healthy cells will then grow, replacing the old ones.